One of David's wives; known also as the mother of Adonijah (II Sam. iii. 4; I Kings i. 5, 11; ii. 13; I Chron. iii. 2), but apparently married to David after his accession to the throne. Adonijah is commonly designated as "the son of Haggith" (I Kings i. 5, 11; ii. 13) who was born at Hebron. 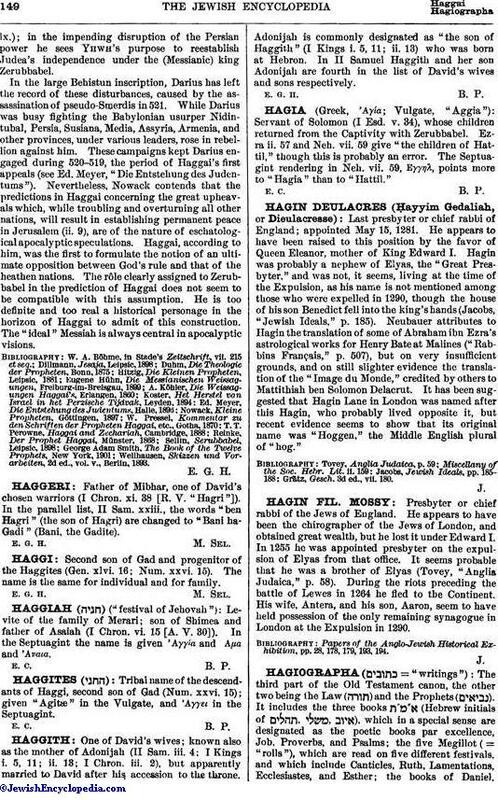 In II Samuel Haggith and her son Adonijah are fourth in the list of David's wives and sons respectively.